Hello friends. I hope you all had a wonderful weekend. I can't believe that Christmas is only 6 days away. So many things to do and so little time. For many of us, it also means that it's time to turn on our ovens, line the counters with ingredients, mixing bowls, roll up our sleeves and get to work my friends. But with my busy schedule, that means lots of late night baking sessions. 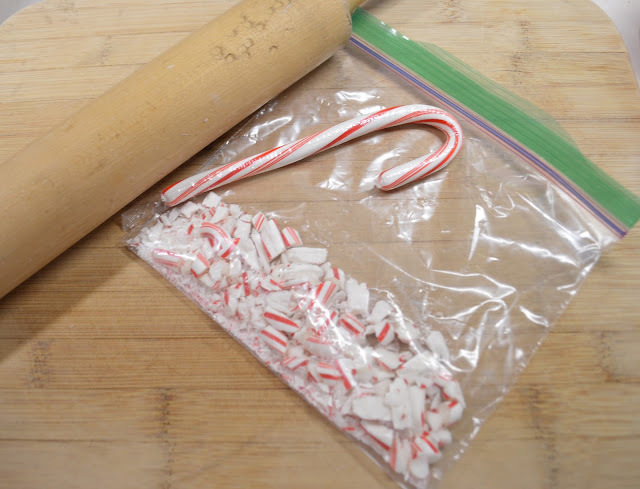 There are still plenty of cookies to bake and peppermint bark to make. Christmas is just a fun time to bake and today, I am sharing a recipe for delicious cranberry muffins which I decked out in holiday cheer to bring to the office tomorrow. They are made with fresh cranberries and topped with a simple cream cheese frosting. 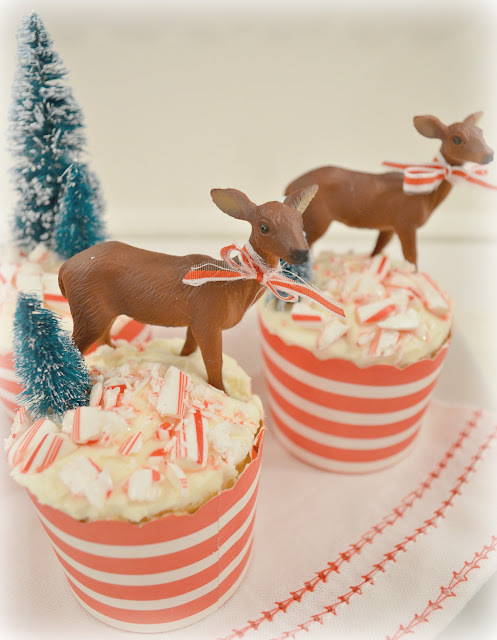 I decorated them with crushed candy canes, artificial mini trees and sweet reindeer. These will definitely add a smile to anyone's face. They turned out adorable. And how festive are they? I hope you give this recipe a try. I like to use baking cups from Simply Baked because you can pour your batter into the cups and bake he cupcakes and they come in so many colors. I normally find them in Home Goods for a few bucks. 1 Sprinkle cranberries with 2 tablespoons sugar; set aside. Sift remaining sugar, flour, baking powder and salt into large bowl. 2 In another bowl, beat egg, milk and oil. Make a hole in center of dry ingredients; pour in liquid ingredients. Stir just until moistened. Add berries and, if desired, lemon peel. 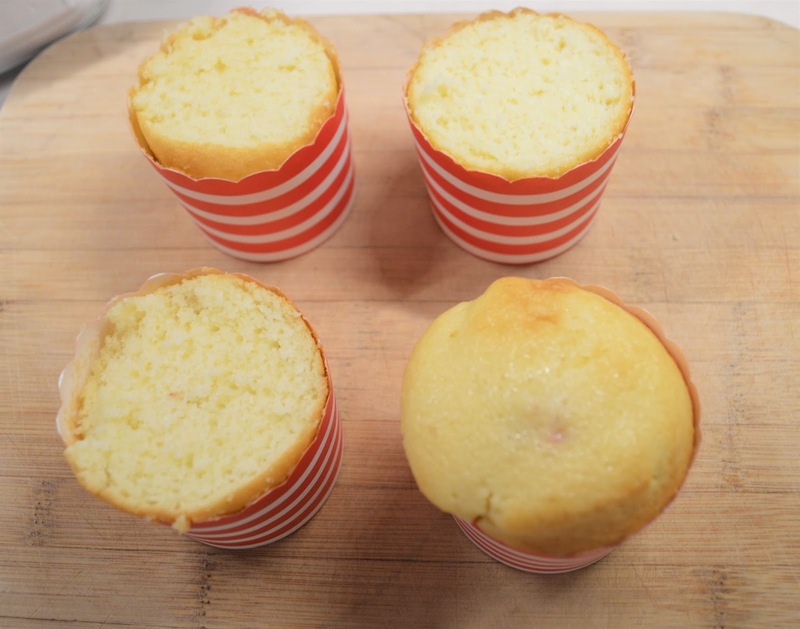 Fill 12 greased standard or 6 greased jumbo muffin cups. Sprinkle with cinnamon sugar. In a large bowl, beat the cream cheese, butter, vanilla and salt until smooth. Gradually beat in confectioners' sugar. 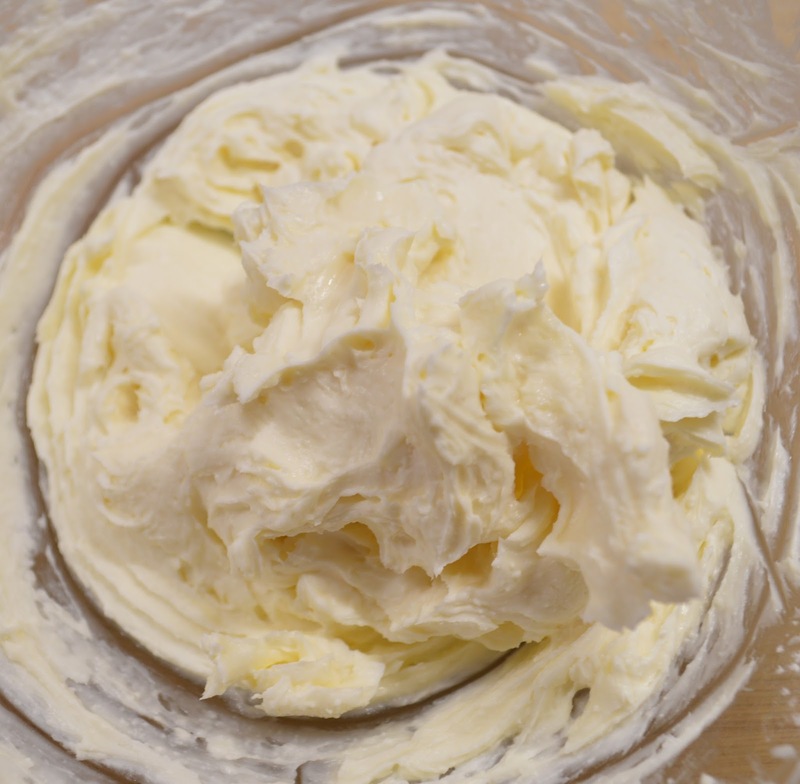 Store frosting in the refrigerator. I hope you all have a great week. Thank you for stopping by and leaving me your lovely comments. Very festive! Love it, and it looks delicious, wish to have one with some coffee. Your cupcakes are filling my heart with such a gladness, thank you Janet, dear, for sharing the recipe too ! 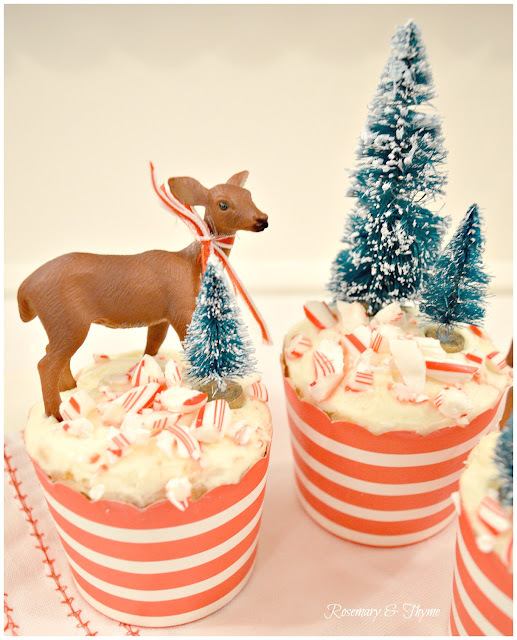 Cream cheese frosting aside, which is my all time fav...Those are so adorable! Pinning these so I can share and try them. 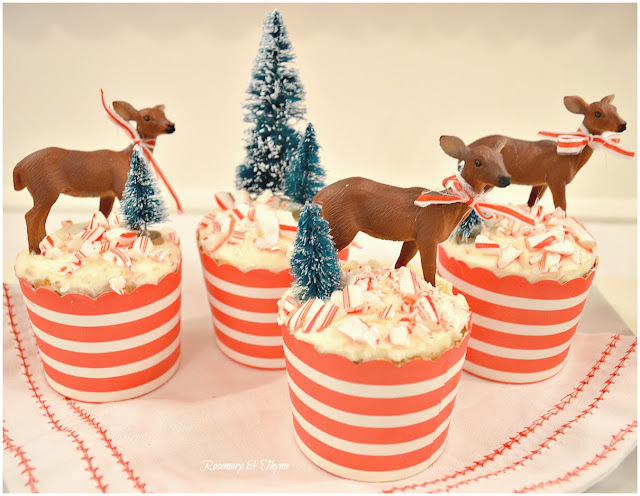 These sound so wonderfully delicious and perfectly Christmasy! Love these! Almost too beautiful to eat. If these aren't the prettiest cupcakes and I bet they are delicious! Blessings & Merry Christmas! 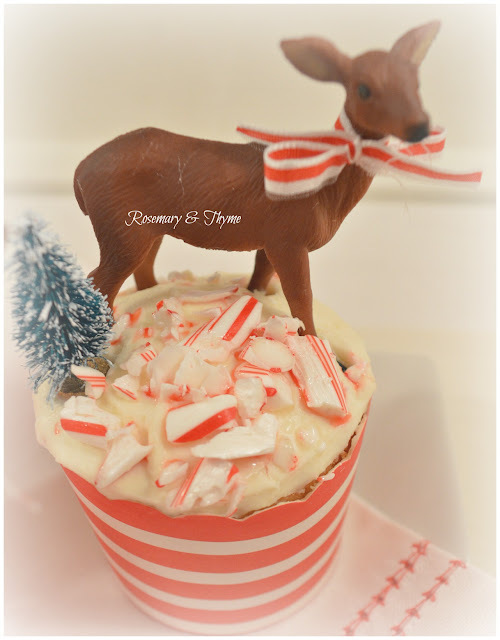 OH that looks so vintage, my mom used to do cupcakes in the 1950's with snowman picks and crushed peppermint, LOVE IT! num, Sandi and Merry Christmas! These are just adorable! Thanks for linking up at Dagmar's Home link party! They are darling and I'm sure delicious as well! Darn, I had some similar cups in my cart at Home Goods the other day and put them back. lol! Where on earth did you find the darling deer? Pinning. Thanks for sharing with SYC. Very cute and it looks delicious. I wish to have one with a cup of tea! Will give it a try, soon.